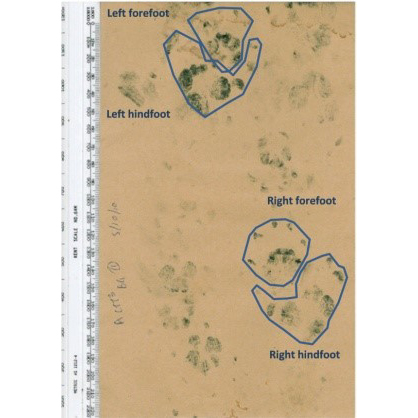 Possum prints on tracking paper. You won’t often see complete possum prints (all four feet) on tracking paper, because possums don’t fit in standard tunnels. The hindfoot is placed just behind where the forefoot was, on the same side of the body.